"MADONNA is not one to rest on her laurels. Having conquered the music world, I hear the Queen Of Pop is in talks to model and design clothes for posh fashion house VERSACE. I also hear new material she is recording is trip hop." Lately we've been hearing a lot about movie projects Madonna will or might do in the future. We'll give you a summary of the facts so far. * Madonna's working on a musical, which carries the working title Hello Suckers. Madonna recently said: "I'm writing for this musical I'm working on, based on the life of Texas Guinan, a woman who was a silent movie star. It's a good story, but I don't know if it's acceptable or not." IMDB lists the movie with a tentative release for 2005. Madonna is listed for the leading role of Texas Guinan, but no other cast members are mentioned. The movie will be produced by Madonna (Maverick Entertainment) and Martin Scorsese (Gangs of New York, Casino, Cape Fear). * Another movie for 2005 is of course the documentary that was filmed during the Re-Invention Tour by Jonas Akerlund. The crew filmed a few hundred hours of footage. The movie is set to premiere on the Cannes Festival in May 2005, but isn't mentioned on IMDB yet. * Madonna is so far the only cast member of Arthur mentioned on IMDB. Arthur is an animation film by Luc Besson (director of Love Profusion video, co-producer of Guy Ritchie's Revolver, director of The Fifth Element, Léon and Le Grand Bleu). Madonna will lend her voice to Princess Selenia. Tentative release is set for 2006. More on Arthur at Hollywood Reporter. * In 2005, Madonna will also be producing some movies. She's listed as co-producer of This Is America and Hello Suckers, and as executive producer of She Rocks and Chasing Fate. Various sources have confirmed that the photo shoot by Mario Testino for the Versace ads have been completed a few days ago. Madonna, Testino and Donnatella Versace spent a few days shooting in an undisclosed location about 30 kilometers from London. The MIR (Madonna Information Report) has reported a list of planned releases in the UK for 2005 and Madonna is in it a few times. For the DVD releases there's only the mention "Madonna - Re:invention tour" without a release date specified. "Madonna - American Life Club Mixes (early Spring)"
"Madonna - TBA (mid 2005)"
"Madonna gives a revealing interview to next week's US People Magazine (December 6 issue) and discusses her new album, musical, not having a manager and more babies. The only pic they use is a photo from Wireimage of her from the Reinvention tour opening night party. - On her new album: "I have to record a new album. But I really don't like the idea of just making another record. So, I'm throwing a lot of balls in the air and will see what happens"
- On the musical: "I'm writing for this musical I'm working on, based on the life of Texas Guinan, a woman who was a silent movie star. It's a good story, but I don't know if it's acceptable or not." - On Caresse's departure: "I need to calm myself. I don't have a manager anymore, so now I'm my own everything." - On Elton John's comments: "When I read about it, I was surprised because I have always though of Elton as a friend. I've had tea at his country house. I've had dinner at his house in the city. He was obviously having a bad day." - On being inducted into the UK hall of fame: "It was very emotional. It has taken me a long time to feel comfortable in England, like it's my home and I am welcome here. And Gweyneth and Stella did a tribute that was hysterical, so I was surrounded by people I love." - On having another baby: "I'm going to have fun with my husband and see what happens!" The magazine hits stands tomorrow. Madonna is not on the cover." ~ UPDATE: you can now find scans of the interview at MadonnaMegaCollection. Yesterday fansite DrownedMadonna reported that the video backdrop from Vogue @ Re-Invention Tour was available online. The website of the video creator Pusher immediately got over 30.000 hits, which made it crash. As DrownedMadonna explains, Pusher media is a group of video makers/effect/design artists. Miss Jones VFX adds Madonna to its list of celebrity divas who demand - and get - the best in concert visuals. The Re-Invention Tour featured work by PUSHER director Stefan Smith and 3D elements from Joe Kosinski of KDLAB. ~ Madonna made this comment during the interview by Channel4's Richard and Judy. You can download this interview at Madonnalicious. Madonna has revealed that Guy Ritchie buys her designer shoes to make up for when they have a row. The 46-year-old mother-of-two said she was once awarded with a glamorous pair of lavender Jimmy Choo sandals after one bust-up. Madonna also said she prefers London to the Big Apple because New Yorkers are so rude. In an interview she said: "London is a much mellower version of New York. "In New York everyone is in your face, even strangers who aren't interested in celebrities talk to you, make comments about what you're wearing, tell you to get out of their way, steal your taxis. There's charm in that but sometimes it can be quite exhausting." Madonna would love to repeat her LIVE AID performance next year (05) - 20 years after the first international concert raised millions in aid of the famine in Africa. The blonde superstar, 46, would "absolutely" perform at LIVE AID II and recalls how overwhelmed she found singing at the seminal gig in Philadelphia, America, on 13 July (85) when she was 25-year-old and unused to such a large audience. Madonna says, "If I was asked I would absolutely do it. My memories were that it was a very heady experience. According to MadonnaTribe, the Versace photo shoot will take place next week (between the 25th and the 26th) in London. The pictures will be taken by Mario Testino. Also on for next week is an interview with Madonna by Channel4's Richard & Judy to promote the release of 'The Adventures Of Abdi'. The interview will be broadcast on Monday at 5pm GMT. I passed by the local bookstore today and yes, the Dutch translation of Madonna's book, titled 'De Avonturen Van Abdi' was released yesterday and is now available for 15 Euro. Just like 'De Engelse Rozen', 'De Appels van Meneer Peabody' and 'Jacob en de 7 Dieven' this book was translated by Mireille Vroege and published by Vassallucci. Most translations are now available in the respective countries; several covers have already appeared online. 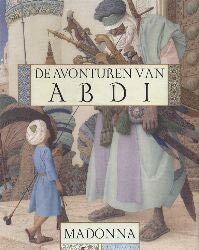 In a press release, the German publisher Hanser announced that 'Die Abenteuer Von Abdi' will be released on March 5, 2005. Meanwhile, I've read my own copy in English (the one with the Madonna signature ;-) and I quite liked it. Though I have yet to read Yakov, Abdi is my favorite so far, because the story is the most interesting ànd the least moralistic, while the language style is the most eloquent of her books so far. The art work by Andrej Dugin and Olga Dugina is stunning. Check out an interview with them at fellow fansite MadonnaTribe. More than 13 million viewers tuned in to see the first airing of the Band Aid 20 video, Do They Know It's Christmas?, on the five main TV networks. It was shown simultaneously on BBC One, BBC Two, ITV1, Channel 4 and Five. The figures do not include Sky One or the other digital channels which showed it. Pop star Madonna, who does not appear on the track, urged fans to "feed the world" before Thursday's screening. BBC One was the most watched terrestrial channel while the video aired, with 3.9m viewers, according to unofficial overnight figures. ITV1 drew in 3.1m viewers and BBC Two was seen by 2.6m. Just over 1m tuned into Five and Channel 4 incorporated the screening into the end of the Richard and Judy programme, which attracted 2.6m people. The video began with Coldplay's Chris Martin in the main hall of Air Studios, north London, where the song was recorded at the weekend. It also featured some stars whose voices did not appear on the song - including Sir Paul McCartney playing bass, Radiohead's Thom Yorke on piano and Blur's Damon Albarn, who served tea. The video included footage of organiser Bob Geldof in the studio playing the stars a video of an emaciated young girl in the 1984 Ethiopian famine. The girl, now a young woman, was then introduced to the singers, many of whom were moved to tears. Madonna has admitted that she would dissapprove of her daughter Lourdes following in her raunchy footsteps. When asked if she would like her eight-year-old "prancing around the stage in her underwear, singing and hollering", the singer replied: "Probably not". However, Madonna said she wouldn't mind Lourdes making a career out of pop. Madonna, who has followed the Kabbalah faith for eight years, made her comments during an interview on CNN in America. Pop queen Madonna took centre stage to entertain children with a reading from her new book. Pupils from St Winifred's Junior School in Newstead Road, Lee, were invited to the launch of the superstar's book, The Adventures Of Abdi, on Thursday last week. Madonna read the entire story to them at Selfridges department store in central London, followed by a question and answer session. She thanked headteacher Mark Corrigan for the youngsters' excellent behaviour. He said: "The children were excited and nervous before the event but once we arrived Madonna soon made them feel at ease." Despite rumors to the contrary, Madonna told MTV Europe that she isn't planning to do a cameo in her husband Guy Ritchie's film 'Revolver,' currently shooting in London. Madonna has urged American President George W Bush to study the Kabbalah to make him a better leader. The spiritual Material Girl is convinced the mystical Jewish teachings would give Bush and British Prime Minister Tony Blair an improved outlook on the world, in light of their handling of the war in Iraq. When asked by CNN what she would like to change, she replied: "To get George Bush to study Kabbalah. Yes. It would be amazing." If nothing else, Madonna is never at a loss for opinions, many of which she shared in an exclusive interview with Pat O'Brien of The Insider. He filled in viewers of The Early Show. Among the topics they discussed: Iraq, her supposed feud with Elton John, Elton's charges she's lip-synched, and the Cameron Diaz flap with photographers. Madonna has recently embraced her spirituality, authored a successful collection of children's books, and moved her family to London. She told O'Brien one advantage to celebrity life in Great Britain is a polite paparazzi. O'Brien joked that she may want to pass that information on to Cameron Diaz, who recently had a flap with photographers in the United States. "All that training in 'Charlie's Angels' finally paid off," Madonna said with a chuckle. One of the shutterbugs claims Diaz hit him twice, something her lawyer denies. Would Madonna ever do such a thing? "No. No way. No. As if it's gonna change anything. They're just going to demonize her now." As for her supposed battle with Elton John: "That was a fictional feud." What about his charges that she regularly lip-synchs during live shows? Is she angry about them? "Not at all. Please, if I start getting mad at people who criticize or poke at me, I'd be permanently mad." Madonna told O'Brien there's another subject she does take very seriously, and that's the war in Iraq. "My point of view is that this war is not founded in anything truthful. (But) we're in it so deep. How do we pull out now? How do we go backwards and right the wrongs? And, you know — I think it's gonna get worse before it gets better. "I voted for Kerry, and I think everybody assumed that. And I'm sad that he lost, but I'm not paralyzed by it. In a way, it's a blessing in disguise. We need to come together, to unite. It's a call to action." Madonna says she's philosophical about Iraq and President Bush — something she relates to life in general in her latest children's book, "The Adventures of Abdi." She notes, "This is my way of trying to effect change in the world, by giving children some kind of tools to deal with adversity in their life in a peaceful way, and they grow up one day and become adults and, hopefully, they've held onto those tools." The moral of Madonna's new children's book is simple and positive: "Everything that happens is for the best." Now the singer who is constantly embroiled in controversy is trying to practice what she preaches to kids. In an interview with ABC Radio, Madonna said she's doing her best to get over her disappointment at the outcome of the presidential election and focusing on her new book, "The Adventures of Abdi," the story of a little boy who must deliver the world's most precious necklace to the queen. "In terms of the elections, I don't agree with so many things and the decisions that George Bush has made and I'm not happy with the situation in Iraq," she told ABC Radio's Andrea Dresdale. "I do believe that the American public has been manipulated to a great degree. "Nevertheless, Madonna - who had urged fans at her concerts to see Michael Moore's controversial, anti-Bush documentary "Fahrenheit 9/11" - says she's not going to sit around "moaning and groaning." "In the end, we have to say, 'OK, we didn't win, but there's other ways to fix the problems, so now what else can I do to help?' "
Madonna also says there's no need to bury the hatchet with Elton John, who recently accused her of charging concertgoers outrageous prices to see her lip-synch, an allegation she's denied. Madonna says there was never a rift between the two performers. "There was never a hatchet for me in the first place," she said. "I always thought of him as a friend. I think he was just having a bad day when he said those things and I never really took it personally." She said the media blew the whole thing out of proportion. "The press made a bigger deal out of it than I did," she said. "I don't really care. I don't read the press." Madonna, who's married to British director Guy Ritchie and lives in England these days, says she invited John to induct her into the U.K. Music Hall of Fame on Thursday, but he had a previous commitment. "I thought, that would be cool if Elton John gave me the award and then we could kiss and make up in front of everybody because everybody seems attached to the idea we're having this feud in the first place," she said. Now the 46-year-old performer is focusing on her latest book, "The Adventures of Abdi," the story of a little boy who must deliver the world's most precious necklace to the queen. In the story, Abdi is robbed in the desert, thrown in a dungeon, and has a surprising encounter with a snake. The book, aimed at readers ages 6 and older, aims to teach kids about the power of positive energy, Madonna says. Her first children's book, "The English Roses," was an international best seller and made publishing history with a simultaneous release in 30 languages, becoming the fastest-selling book ever by a first-time children's author. It was followed by "Mr. Peabody's Apples," and Madonna says she plans to write a sequel to "Roses." The singer, famous for reinventing her look and sound so many times, is thrilled by the latest turn in her career. The children's books are bringing her new fans - and even winning over some people who weren't too crazy about her music. "Oh, I got tons of letters like, 'I never liked her records but I like her books.' I'm like, 'Thanks a lot," she said, laughing. Her two children - Lourdes, 8, and Rocco, 4 - give her a lot of feedback on her writing, Madonna says. Lourdes is especially involved. "She comes in when I'm writing and says, 'That's a good idea, that's a stupid idea, that's boring, Mom, Oh, I like that. I want more of that.' And my son likes 'Yakov and the Seven Thieves' because he likes bad guys." French composer Michel Colombier died yesterday after a six month battle with cancer. He was 65. Colombier was one of the most prolific and versatile French musicians of his generation. 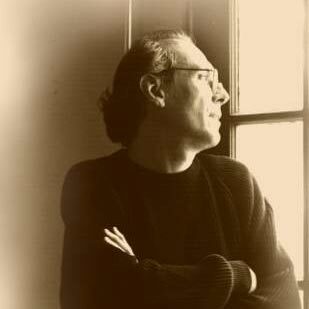 Besides his career as a film composer, scoring over 100 feature, cable and television films since the early 1960's, Colombier was a prolific song writer and arranger who worked with artists such as Madonna, Prince, The Beach Boys, Paul Anka, Barbra Streisand and Earth Wind and Fire. ~ Michel Colombier did fantastic string arrangements for Don't Tell Me, Die Another Day, Nothing Fails and Easy Ride. He was also responsable for the soundtrack for Swept Away. The Mad-Eyes team expresses his condolences to Michel's family and friends. May he rest in peace.